Based on 427 customer ratings. 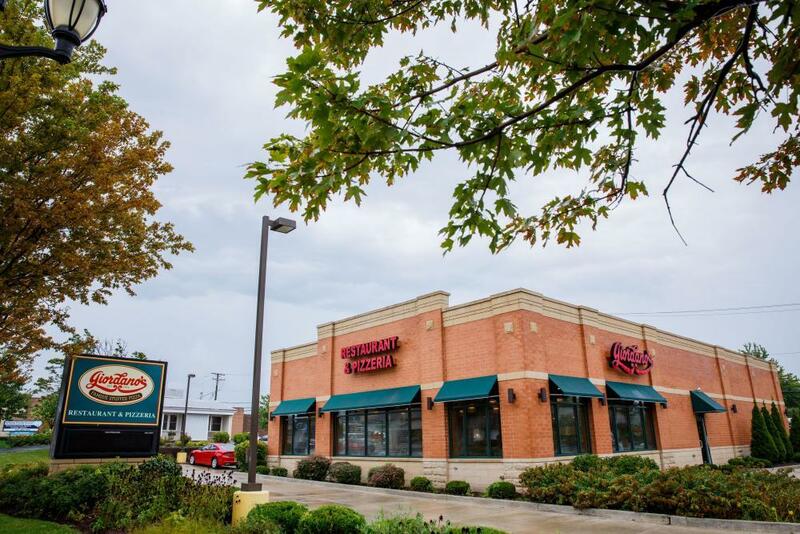 Whether you want to eat out or dine at home, Giordano’s is your go-to destination for the best pizza pie in Glen Ellyn. We have a full dining room with wine and beer selections, and also delivery and pickup options. Just call and place your order for fast delivery! Is there anything more satisfying than a handcrafted deep dish pizza made with the finest, freshest ingredients and tender loving care? At Giordano’s, we don’t think so, either — and that’s why we make the best Chicago-style pizza in Glen Ellyn! Giordano’s is more than regular pizza. We’re a cherished Chicago tradition that generations of families have enjoyed for over 40 years. Now you can enjoy the best deep dish pizza in Chicago at home, right here in Glen Ellyn. Slow-Baked, Flaky Perfection Each and every Giordano’s pizza tastes of old world tradition and outstanding craftsmanship that only trained artisans can provide. It takes 6 artisans to build just one double crust, deep dish pizza, which we slow-bake for the ultimate in flaky, flavorful perfection. We carefully layer the freshest toppings you choose with mozzarella made just for us on a small Wisconsin farm. When you take your first bite, you’ll know why Giordano’s is the best pizza delivery and restaurant in Glen Ellyn! Giordano’s also has a full menu filled with mouth-watering Italian favorites such as tender pastas, hearty sandwiches and the freshest, crispiest salads. If you’re gluten-free, you can still enjoy Giordano’s — just ask about our special gluten-free menu items.